A site devoted to providing educational and informative information on industrial process instrumentation and power utility controls. Topics will include information regarding process control, flowmeter selection, toxic and combustible gas detection, process weighing, analytical measurements both liquid and gas, transducers for electrical metering, and protective relaying. More information can be found at www.arjaynet.com. Now that entire Moore/Siemens 350 family is obsolete, are you considering upgrading to a DCS? Are you concerned about the cost and time for a new installation, application development and personnel training? Is it possible that the new equipment vendor may again leave you stranded with their equipment as their core business is not industrial automation and control? We have a better solution for you: Yokogawa and its YS1700 PID loop controller. 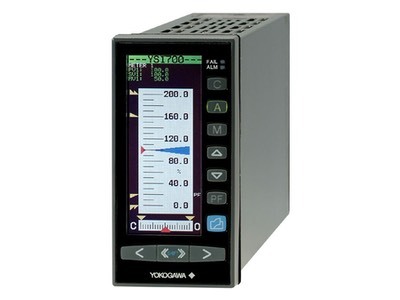 Yokogawa has been providing industrial solutions, as their primary business, for over a century and their YS1700 will keep you off of eBay looking for spare 353 parts. The NIVELCO NIVOPOINT is a flexible, multi-point magnetic float level switch available with awide variety of floats. The NIVOPOINT magnetic float level switch is an ideal solution for single or multi-point level controlling tasks in non-hazardous or hazardous areas. Plastic coated versions are available, suitable for level detection of aggressive liquids, while ATEX certified versions do an excellent job in explosive medium. NIVOPOINT magnetic float level switches work on the basis of the interaction of the magnet incorporated in the float, and the reed switches within the probe. The float of the NIVOPOINT level switch moves alongside the probe tube, tracking the level of the measured liquid and activating the reed switches. NIVOPOINT magnetic float level switches are recommended for the following applications. Level detection of practically all liquids, including aggressive ones. Level switching of explosive liquids. Level switching without auxiliary power. Up to 5 switching points. The position of the switches can be adjusted. Plus or minus 25 millimeter adjustment possibility of the positioning of the switches. Plastic coated versions for aggressive chemicals. 150 degree Celcius median temperature. For more information on the NIVELCO NIVOPOINT magnetic level switch, contact Arjay Automation by calling (800) 761-1749 or visiting their web site at https://arjaynet.com. Reprinted from https://www.honeywellanalytics.com. Original article by Don Galman. There are many gas detection products on the market that might appear to be the same, but a closer inspection of specification, functionality and features reveals major differences in what products can do and the potential value they can offer. Similarly, individual applications are also unique in their respective designs, needs and processes undertaken. Before beginning to consider gas detection equipment, a risk assessment needs to be conducted. Any company employing staff has the obligation to conduct risk assessments to identify potential hazards and these can include potential gas, vapor or Oxygen deficiency risks. If gas hazards are identified, gas detection is applicable as a risk reduction method. Depending on the processes being undertaken and the gases being detected, remote or off-site alarm notification plus event data logging/reporting may also be required for Health and Safety management records. Another factor impacting on the need for enhanced reporting functions might be regulatory compliance or a condition of insurance. The gases to be detected should be identified by the risk assessment, however experienced gas detection equipment manufacturers and their approved distributors are often able to help in this process, based on their experience of similar applications. However, it is important to remember that it is the end-user’s responsibility to identify all potential hazards. 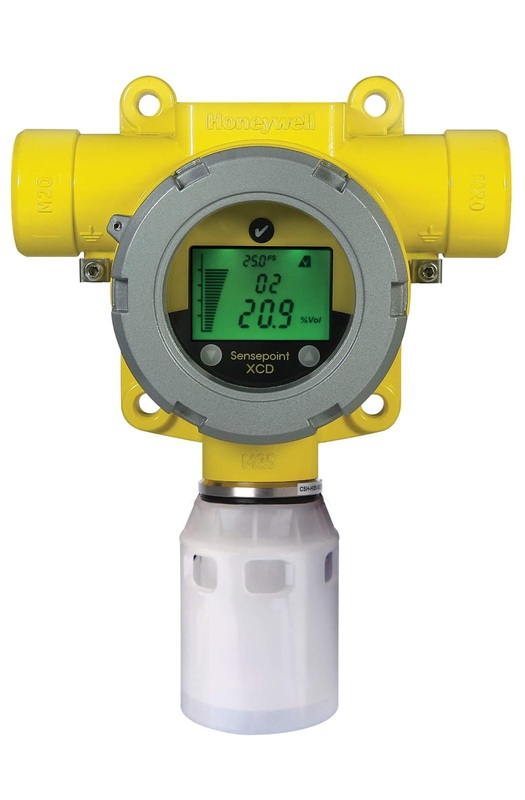 It is also essential to identify the potential source of a gas release as this helps determine the number and location of detectors required for a fixed gas detection system. The performance, accuracy and reliability of any gas detection equipment will be affected by the environmental conditions it is subjected to. Temperature, humidity and pressure levels at the location all have a direct bearing on the type of equipment that should be selected. Additional factors such as potential variations resulting from a production process itself, diurnal/nocturnal fluctuations and seasonal changes may also affect the type of device which is suitable. The next area of consideration relates to additional product functionality. Aspects like wiring configuration are important, especially when retro-fitting into an existing application. If the apparatus is being integrated into a separate safety system, certain communication protocols may also be required such as HART®, Lonworks or Modbus®. Consideration will also need to be given regarding the requirement for local displays on transmitter units and local configuration of the unit and gas displays may also be a useful addition. Routine maintenance is another important consideration. Some gases and vapors can be detected with a number of different sensing technologies, e.g. Hydrocarbon gases with catalytic beads or Non-dispersive Infrared NDIR. Catalytic beads do not provide fail-to-safety operation and therefore can require a high frequency of routine maintenance, however NDIR based solutions tend to have a higher initial purchase price, but may require less routine maintenance. In-house resource to undertake such routine maintenance needs to be identified and in the absence of such a resource, budgeting for third party maintenance is an important factor in selecting the right equipment. 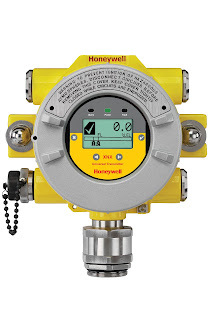 For more information on Honeywell hazardous or flammable gas detection, contact Arjay Automation by calling (800) 761-1749 or visiting https://arjaynet.com. Arjay Automation is a Manufacturers' Representative located in Burnsville, MN with extensive experience in the application of industrial process controls and instrumentation, with additional expertise in utility automation.